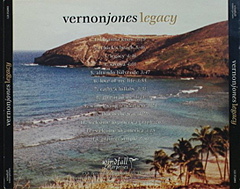 Pittston-based Vernon Jones has a release out that he produced and recorded at Holland Sound Studios in Scranton. Jones also wrote and arranged all the tunes. He’s joined on the recording by his wife, Diane Jones, on lead and background vocals and rapper Maurice (RC) Powell. 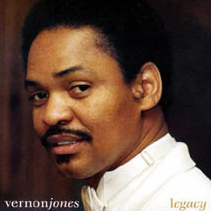 In addition to his vocal work, Jones plays soprano and tenor saxes and did the sequencer programming. Jones and his wife are well-known throughout the Pocono-Northeast for their club work and that should help with sales of the album. If Jones can get radio airplay in some of the secondary markets he should then ship his product to a major label to purchase the master. Some of his tunes could easily find a home on the new adult contemporary lite jazz formatted stations. Legacy can best be compared to the new Lionel Richie album, Louder Than Words. It features many of the same elements and the former Commodore leader found airplay with “Don’t Wanna Lose You” on the NAC/lite jazz charts. Jones is the consummate artist and a break is all he needs to gain the recognition on a larger scale that he so deserves. The thirteen cuts on Legacy offer something for everybody. In addition to the title piece and an approximately 30-second rap intro to “Welcome to America,” the other selections are I Wanna Know, Chick’s Beach, Legacy, Savoya, Altundo Balyende, Love of My Life, Cathy’s Lullaby, Give it To Me, With Loving Tenderness, This Is The Way, and Plain & Simple. We accept credit card payments through our secure Paypal account! Click the buttons below.